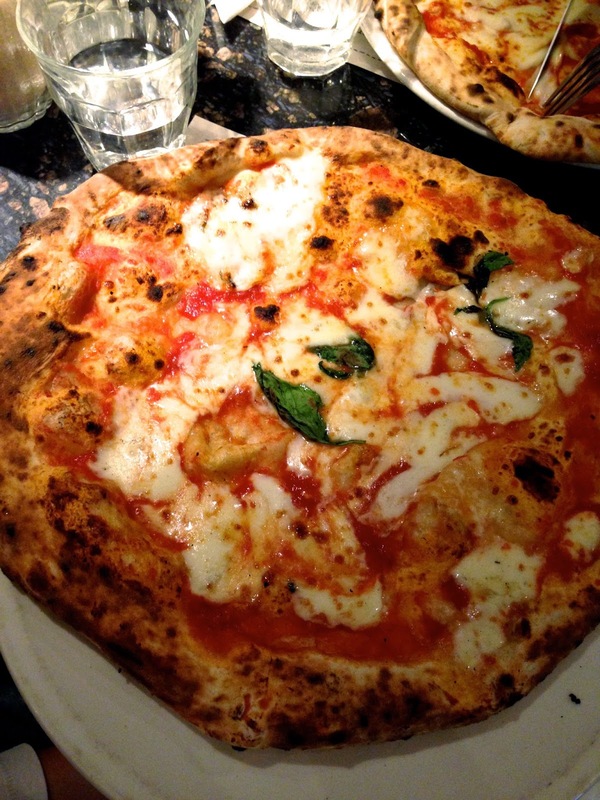 What's special about Franco Manca is that they have sourdough pizza and you can taste every bit of ingredient yum yum yum. 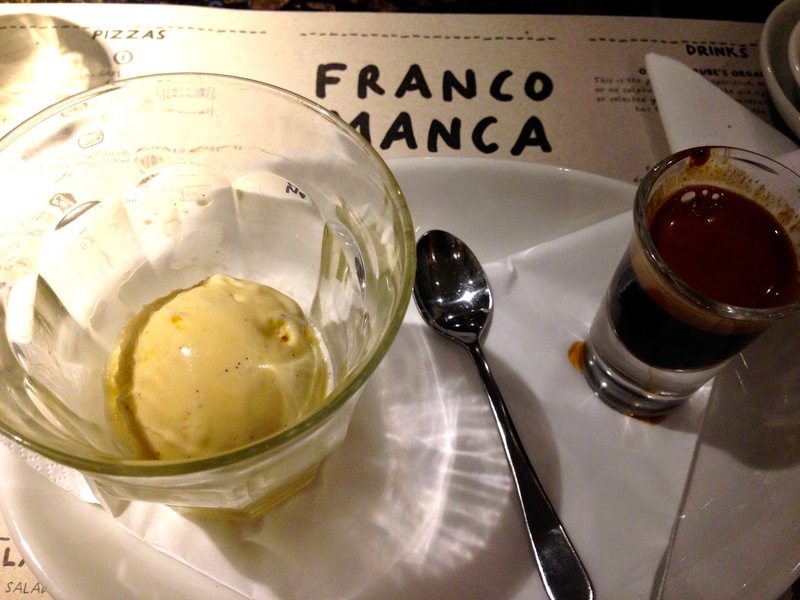 After the delicious pizza I ordered something called I don't know what I forgot the name and it's a ball of ice cream with a shot of espresso that one pours over it! The perfect ending to a girls dinner with delicious food.